The Jesuits are responsible for the quote, “Give me the child . . . and I will give you the man.” The idea is simple, how we are shaped in childhood has a profound impact on who we are as adults. This impressionable season of life is lined with worldview risks and opportunities. That’s why the “world’s most celebrated atheist,” Richard Dawkins, author of the The God Delusion, turned his attention to writing for a younger audience. In his children’s book The Magic of Reality, published in 2011, he set out to dispel myths about the world. In an interview about the book Dawkins said, “I care that children are being misled by those stupid people” referring to those who believe the Genesis account of the origins of the universe. Like Dawkins, I think explaining fundamental concepts about the nature of reality to children is a priority. But I have a very different worldview than Dawkins, which I’m sure comes as no surprise. I think that reality is best explained by a God who is there and who is not silent: a Creator who has revealed himself in human history. And that’s why I’ve taken a stab at writing a series of worldview stories for younger readers. 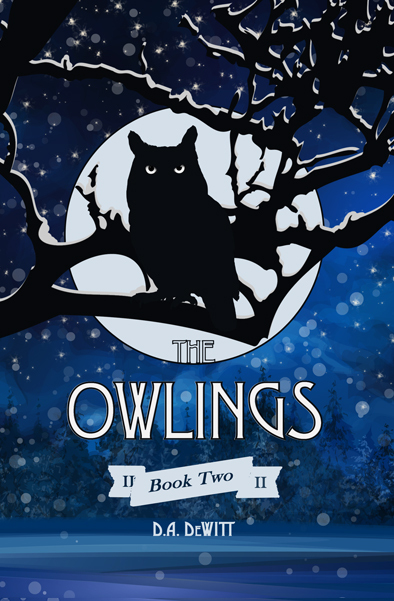 Today my second book in the series The Owlings is available on Amazon. Get ready to meet Gilbert, who is joined again by three of his friends in The Owlings: Book Two, to teach Josiah some important lessons about the world — that this world doesn’t exist by or for itself. C.S. Lewis, the beloved author of Narnia, said it well, “I believe in Christianity as I believe that the sun has risen: not only because I see it, but because by it I see everything else.” Like Lewis, I believe that Christianity best explains not only the natural world, but also the human experience. Lewis serves as inspiration for these stories in more ways than one. C.S. Lewis and J.R.R. Tolkien famously met to discuss their stories with a small group of friends that became known as “The Inklings.” Two other British authors are often associated with this group in terms of similar interests and influence: Dorothy Sayers and G.K. Chesterton. These four serve as the inspiration for the owls: Clive, Gilbert, Dorothy, and Reuel. The Owlings: Book Two also includes a short afterword for parents and a discussion guide. I hope this humble attempt at teaching worldview to children is a useful resource for you and your family. Sorry to announce that our evening @cedarville Apologetics seminar is cancelled, but I just recorded a video on the same topic "Is God a Moral Monster." If you're interested, I'll let you know when it is posted.